R1 million rewards for capture of Duduzane, Ajay Gupta - SABC News - Breaking news, special reports, world, business, sport coverage of all South African current events. Africa's news leader. 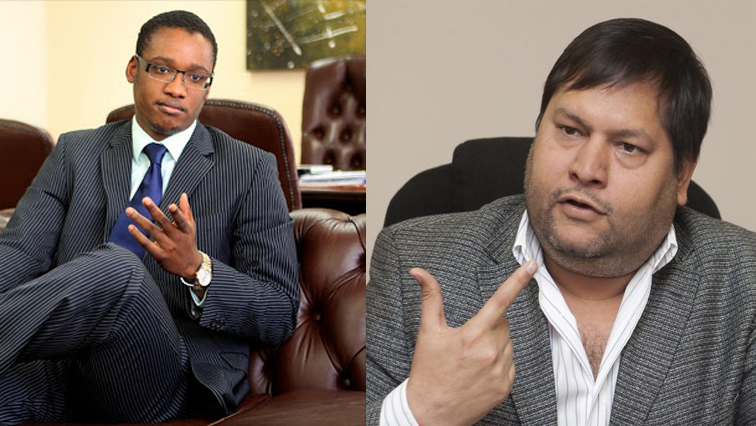 South Africans are urged to contribute their spy skills to ensure that Ajay Gupta and Duduzane Zuma are arrested. The R500 000 rewards offered for the capture of the Gupta brothers and Duduzane Zuma have just been doubled to R1 million after a Cape Town based woman took it upon herself to match the reward money rand for rand. In a tweet, CEO of Sygnia Tech Solutions, Magda Wierzycka calls on South Africans to contribute their spy skills to ensure that the fugitives are arrested. Weirszycka says she is also looking to implement additional rewards to persuade people to cooperate with the investigation, including a reward for the first person in the Gupta circle to turn on the controversial family. “So, I am hoping to appeal to the families of those bodyguards to turn those guys in so that justice can take its course and so that we can start recovering the billions of rand that they have stolen from South Africa,” says Wierzycka. This past week, Hawks declared Ajay Gupta a fugitive from the law. This entry was posted on 17 Feb 2018,01:13PM at 1:13 PM and is filed under South Africa, Homepage Featured Story Slider. You can follow any responses to this entry through the RSS 2.0 feed. Both comments and pings are currently closed.